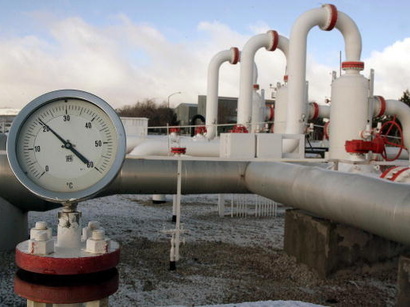 The Southern Gas Corridor will help cover Europe's growing gas needs taking into account that own gas production in the European Union is declining, Russia’s TASS news agency quoted European Commissioner for Climate Action and Energy Miguel Arias Canete as saying on February 9. Canete was addressing the recent plenary session of the European Parliament in Strasbourg. He also stressed that the EU dependence on gas imports will increase from current approximately 70 percent up to 83 percent by 2040. Canete said that own gas production in Europe is declining. "Our dependence on gas imports is expected to continue to increase and reach over 83 percent by 2040," he added. As part of the Shah Deniz Stage 2, the gas will be exported to Turkey and European markets by expanding the South Caucasus Pipeline and the construction of Trans Anatolian Natural Gas Pipeline (TANAP) and Trans Adriatic Pipeline (TAP).